Best Nordmann trees are grown from the finest seeds. They are planted in sheltered places and need to be carefuly tended. A tree of prime quality shows practically no defects. Its stem is straight, with evenly distributed whorls and branches differentiated on the whorls. The tree should be higher than it is wide. Its shoots should be thick and well developed. 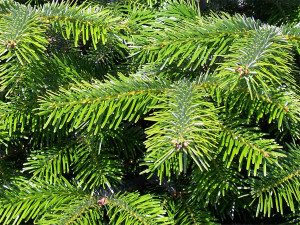 The foliage should be soft, deep-green and shiny and should hold firmly on the shoots. Tending prime trees involves appropriate trimming. Each year, a specially prepared worker assesses trees and cuts excessive lateral shoots. Through the ears of experience, Danish plantators have created a quality classification of Nordmann cuttings. Typical prime quality cuttings have from three to four pairs of lateral shoots. 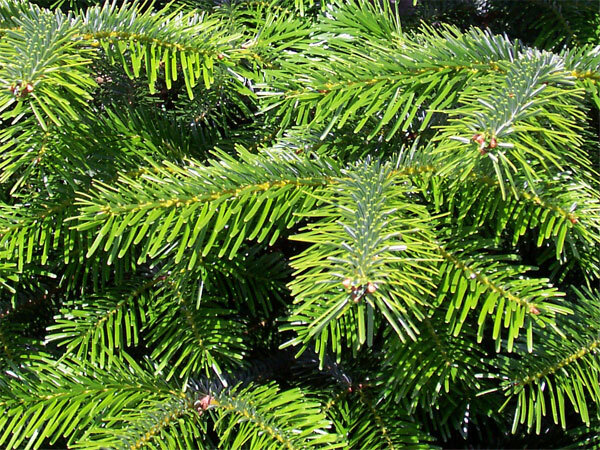 The shoots have vast numbers of strong, deep-green, shining needles. The needles are so dense that they do not leave a bald stripe along the middle of the stem. 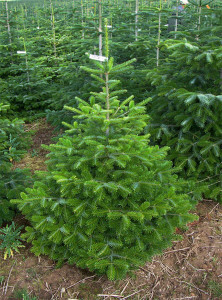 Prime cuttings come from prime trees remaining after the Christmas tree harvest. Specially trained workers collect the cuttings and bind them into bundles of 5kg. The cuttings are usually 80cm long, like the ones presented in the picture on the left.